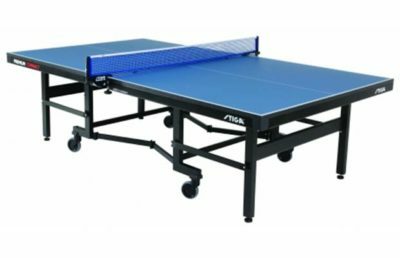 Baja outdoor table tennis table from Stiga. 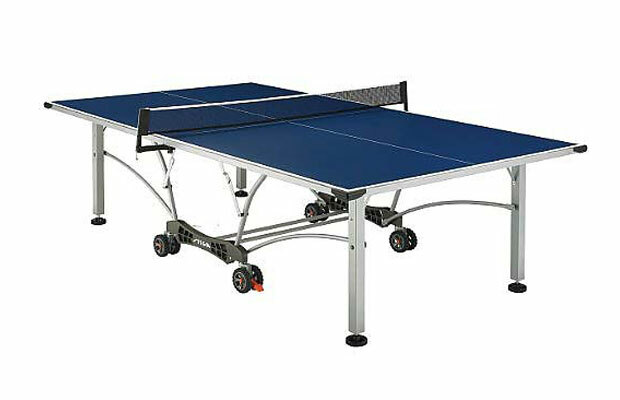 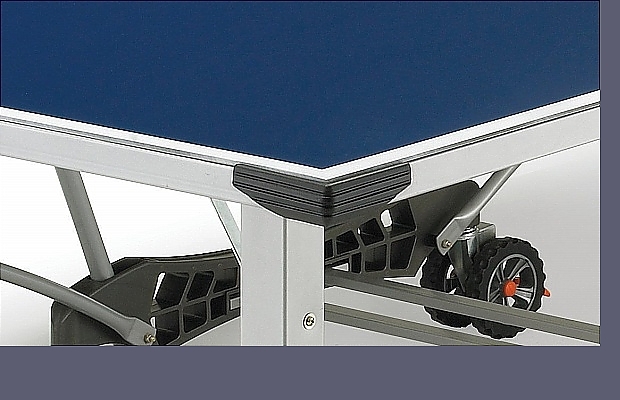 This top quality table has an aluminum composite blue top with silk screened boundary lines, heavy duty welded steel apron, 2” self-opening steel legs with levelers, 5” double wheels with all-terrain tires and locks, and the patented QuickPlay® Chassis for quick assembly. 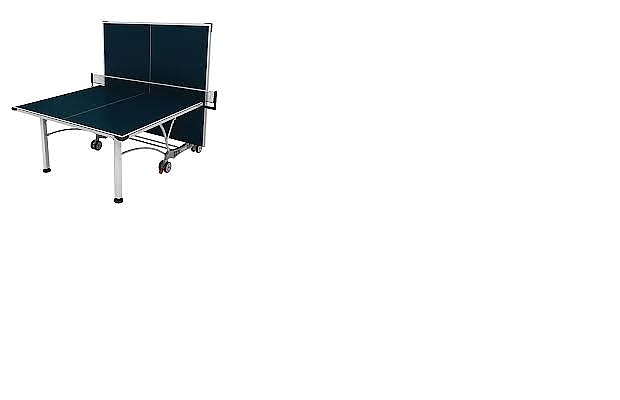 This table features molded corner protectors to protect from snags, heavy-duty welded support frame and oversized composite caster beam with steel cross-braces for added strength, as well as galvanized hardware for longevity against the elements. 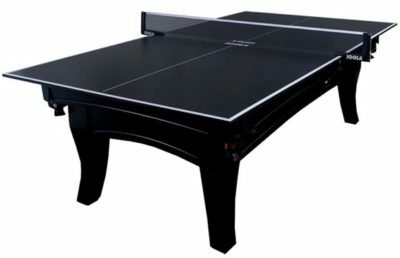 Table folds to a compact 60” W x 62” H x 30” D for easy storage and can be played either full-length, or as a half-court table (60” W x 62” H x 68” D) for practice. 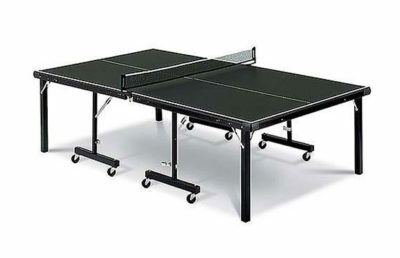 Includes a 72” STIGA pivoting all-weather net and post system.